Without a disaster recovery plan in place, you are putting your data and business at risk. Downtime, loss of productivity and loss of revenue can come as a result of any disaster, whether natural or manmade. That's why maintaining 100% uptime is so important. 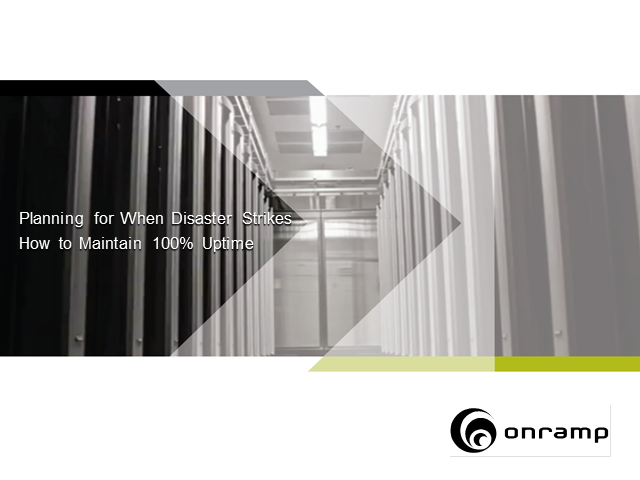 In this on-demand webinar, OnRamp Founder Chad Kissinger details the steps you should take to prepare your business' primary IT infrastructure for any disaster and the key considerations you should make when choosing a Disaster Recovery provider.